iFixit sheds some light on the writing utensil’s inner workings. If you’re wondering exactly how the iPad Pro’s Pencil stylus works, a new look at its innards helps draw a clearer picture. 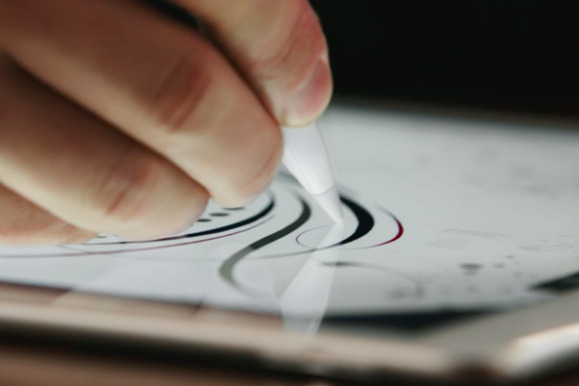 Officially, we know the Apple Pencil connects to the iPad Pro via Bluetooth, and is not capacitive like a finger or generic stylus. Instead, it uses a pair of emitters to send angle and location data, and includes some sensors inside the case for pressure detection. Note the three matching “ticks” on the pen assembly and logic board. It’s worth noting that iFixit’s Pencil and iPad Pro teardowns didn’t turn up any specific components that link the two devices together, akin to the N-trig display controller on Microsoft’s Surface Pro 4. Apple has said that it reengineered the iPad Pro display’s subsystem to measure twice as often when the Pencil is in use, which at least partly explains why the Pencil doesn’t work with older iPads. 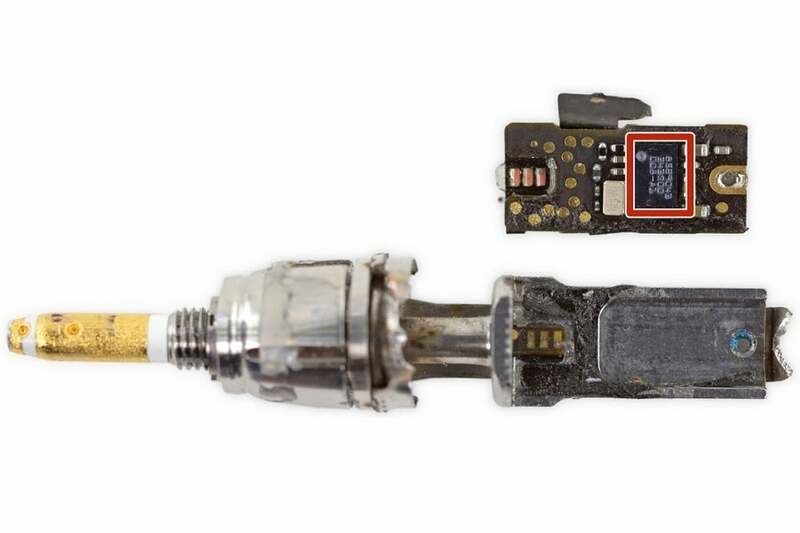 In addition to the pressure- and angle-detection bits, iFixit’s teardown also found a tiny logic board—weighing just 1 gram—that folds in half to save space, and a battery whose charge is just 5 percent of an iPhone 6s. Why this matters: For most people, all that really matters it that the Pencil works as advertised and feels like a proper writing and drawing implement. But seeing as it breaks with tradition of using an active digitizer for pressure detection, it’s still interesting to look at how Apple’s creation works on the inside.